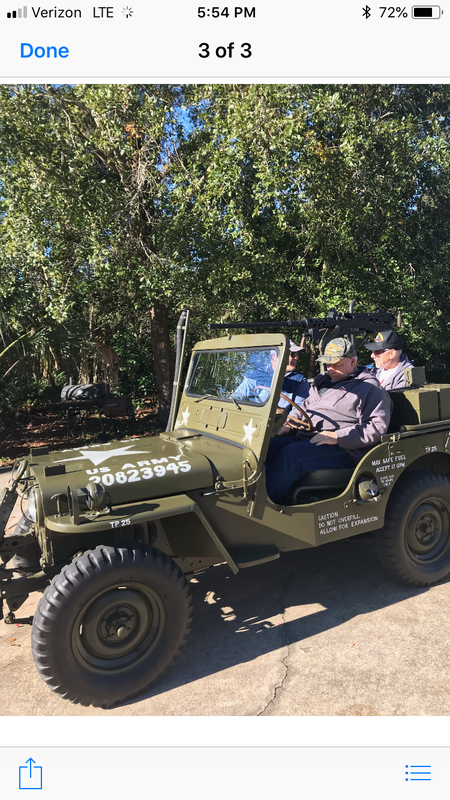 Wally might have bit the bullet on a Jeep....he has been looking ever since he acquired the fever down there in Kentucky. He’s working on the final details for an M38. This is it! Test driving before Wally bought it in Florida. What a ride, can’t wait to see it in a creek. Congrats to Wally. ENJOY !!! Beautiful ride! Congratulations Wally! Can’t wait to see it in person (hint). And he is prepped for deep water crossings too. I’ll let someone else comment on the fact that Al looks to have dozed off in the FL sunshine! SWEET RIDE!! Congrats Wally!!! I’m like Greg caint wait to see it in person! What a great looking Jeep! Looks like a pretty decent M-38!